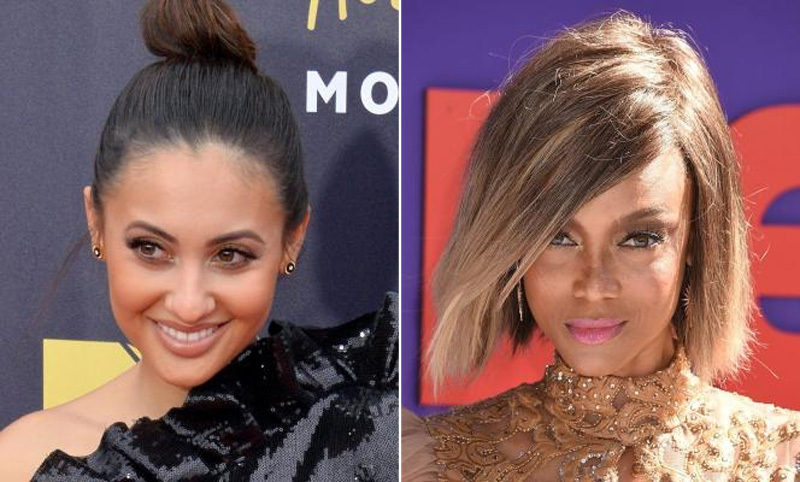 Francia Raisa is joining Tyra Banks in the Life-Size sequel. [post_ads]Banks, 44, announced the news in an Instagram post Monday after starting production on Life-Size 2. The sequel will air as a TV movie on Freeform. "Now filming: LIFE SIZE 2," Banks captioned a photo with Raisa. "It's time y'all! You've waited long enough. I'm so excited to announce who will star with Eve 2.0... the magnificently fierce @franciaraisa." "See you on @freeform this holiday season! #LifeSize2 #ShineBrightShineFar," she added. Raisa, 29, shared the same picture and an excited message on her own account. "Cheesin so hard because I get to work with the amazing @tyrabanks on the sequel of one of my favorite childhood movies #lifesize2 #shinebrightshinefar #smizing," she wrote. "Look out for it this holiday season on @freeform." Banks played Eve, a doll who comes to life, in the original Life-Size, which co-starred Lindsay Lohan and aired on ABC and the Disney Channel in 2000. Freeform confirmed plans for a sequel in a press release in April 2017. Raisa is known for portraying Adrian Lee and The Secret Life of the American Teenager and Ana Torres on Grown-ish. She notably donated a kidney to her best friend, singer and actress Selena Gomez.